I first saw this work at the Art Apart Art Fair 2014, and how could I not have fallen in love with it. 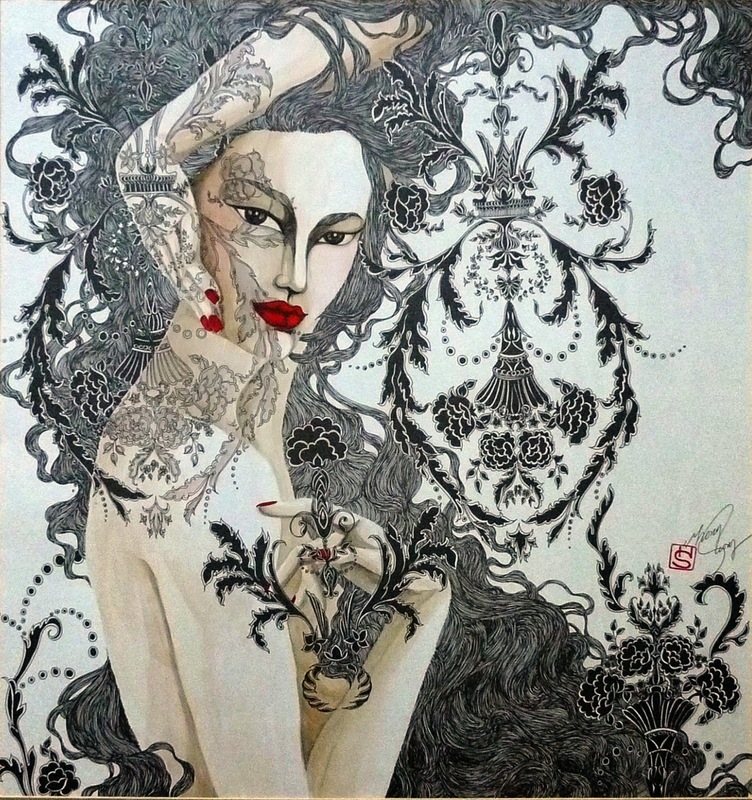 It has a slight reminiscent of Art Nouveau, paired with a kind of Peranakan influence in its line work. Gorgeous limited palette, absolutely insane line work, with a beautiful composition. I would say its the Tran Hong Suong's best work to date. View the artist's profile here.